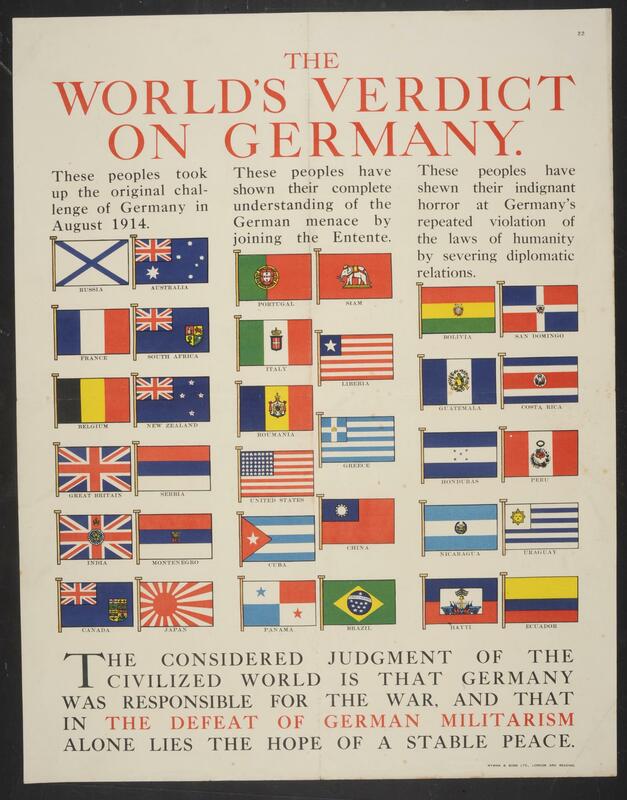 First World War proganda poster; 'The World's Verdict on Germany.' The Considered Judgement of the Civilised World is that Germany was Responisble for the WAR, and that in the DEFEAT of GERMAN MILITARISM alone lies the Hope of a STABLE PEACE. A visually complex poster, with no particular mention of the recruitment issue featuring 33 flags belonging to nations that have opposed Germany, either by going to war or withdrawing recognition.